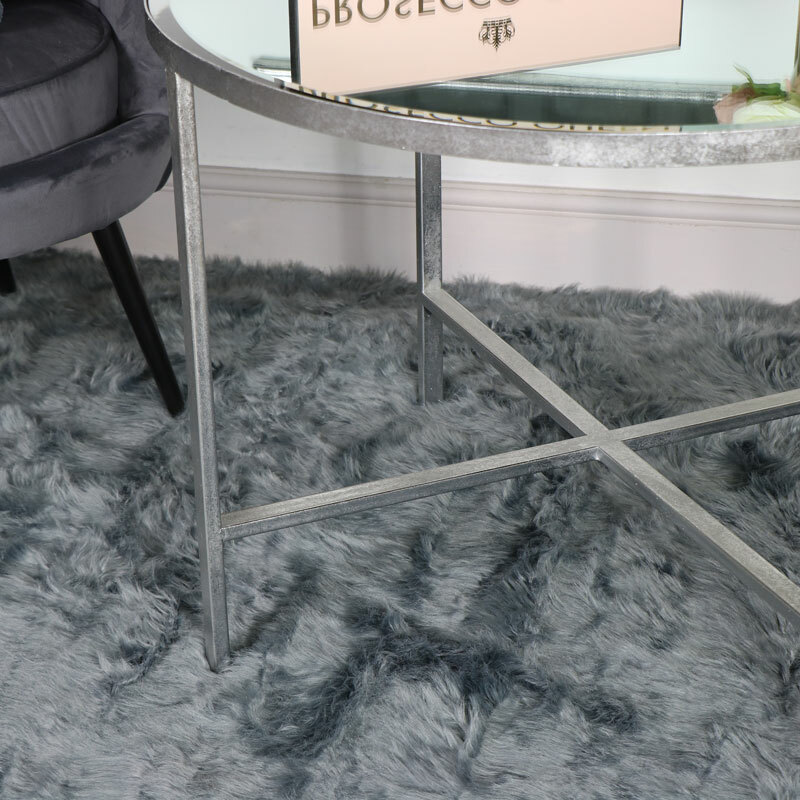 If you love the modern look then you will love this mirrored side table. Antiqued silver frame with a round bevelled mirrored surface that adds a look of stylish sophistication. The perfect look for the living room or hallway. Ideal for using as a display table for ornaments, photographs, lamps or candles. The mirrored surface will complement any decor and create a sense of light and space. This could also be used as an elegant coffee table. Perfect for the modern interior. 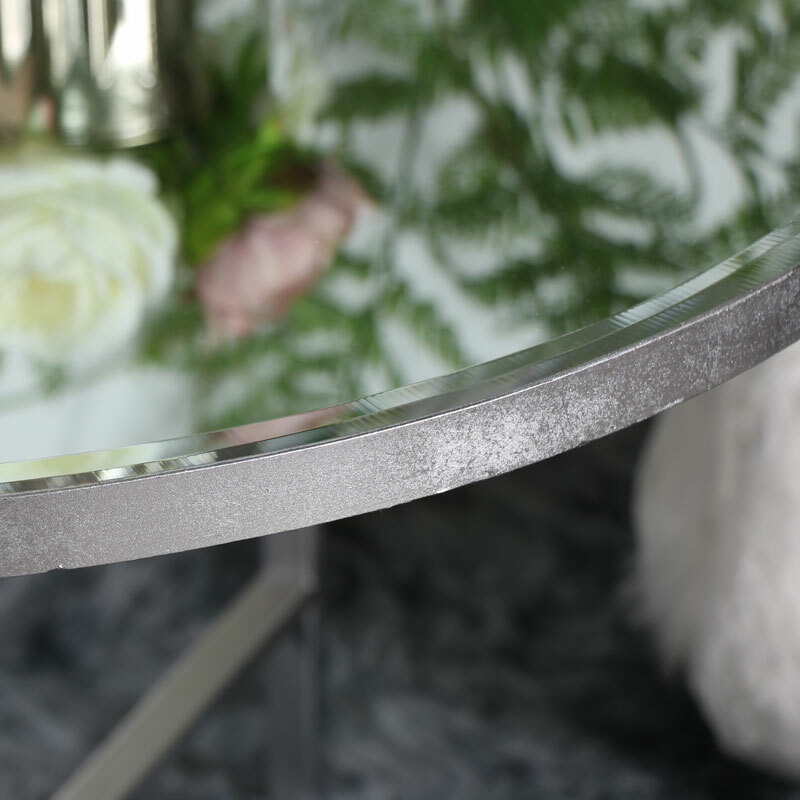 This side table is a fantastic addition to our other mirrored tables. Offering a great choice of sizes and shapes in colours of gold and silver. Constructed with a metal frame in an antique silver finish in a circular shape. The table comes fully assembled and weighs approximately 12kg. With a fantastic range of coffee tables to choose from, you'll be spoilt for choice. 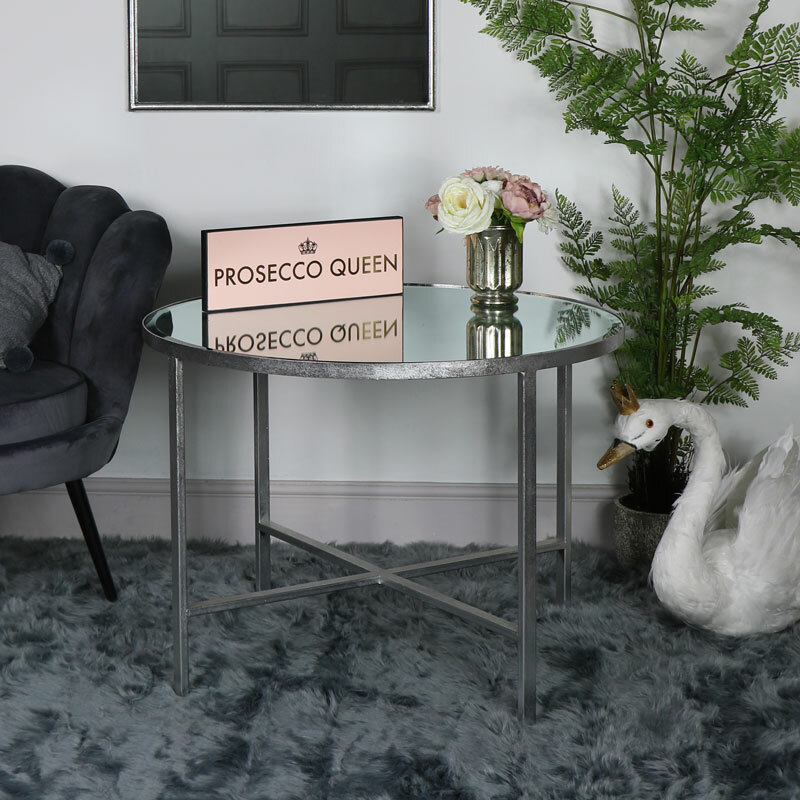 Our range includes more mirrored tables in even more colours, half moon tables and tables with storage. With so much to choose from, there's no need to look any further.